The Chase is finally over. Fans of NASCAR that have something new to look forward to in 2017. Yesterday, NASCAR announced a new enhanced racing format that will go into effect this season. 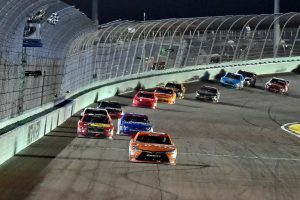 The new enhanced format will be in effect for the Monster Energy NASCAR Cup Series, the NASCAR Xfinity Series, and the NASCAR Camping World Truck Series. Forget the old ways of NASCAR, and get with the new days. The executive VP of NASCAR, Steve O’Donnell says the enhanced format will reward performance and allow for less race interruptions. Well, a lot has changed. For example, there are now three-stages to each race, the point distribution has changed, and a regular and postseason champion will be crowned. Not only that, but drivers finishing inside the top ten in the regular season will all receive more bonus points heading into the post season. O’Donnell commented on the new changes and ultimately says its for the fans. Each of the new stages is critical in every race for every driver. Seems obvious, right? Well, the first two stages reward drivers who finish inside the top ten, while the final stage determines the winner of the race. Stage 1: makes up 25-30 percent of the race, but varies depending on the size of the track and the length of the race. This Stage ends with a checkered flag, and if necessary, can end under caution. Stage 2: makes up the next 25-30 percent of the race after the caution period at the conclusion of Stage 1. This Stage also starts with the wave of a green flag and ends with a checkered flag. Final Stage: following another caution period after Stage 2, the drivers will then race for the event win. 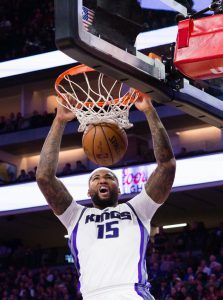 The true difference in it all is the amount of bonus points that can be earned in each stage, which eventually accumulate into the postseason. Under the new format, drivers have the opportunity to earn more bonus points than ever before. In the first two stages of each race, the top ten drivers are rewarded bonus points. Whoever is leading after each of these stages receives ten points, second will receive nine, all the way down to tenth place earning one point. Additionally, the leader after Stage 1 and Stage 2 will receive an additional bonus point that carries over into the postseason. The winner of the Final Stage, or the racing event itself, earns an additional five bonus points that go toward the postseason. Under the old format, winners of each race would only receive three bonus points. Players will still receive postseason eligibility if they win an event. So, if a driver wins the first two stages and the race itself, that driver would receive seven bonus points that go toward the postseason. Once the postseason begins, point totals are set to 2,000. The racers who received bonus points during the season will then be added on. At the end of each postseason race, four drivers will be eliminated which will set up a final four per usual. The bonus points earned from the regular season will transfer to each round of the postseason if the driver is still eligible. So rather than bonus points only affecting the first round, it affects the entire postseason. However, regardless of postseason points, the winner of each race will move onto the next round. When it comes to the final race of the season in Miami, bonus points are a thing of the past. The remaining four drivers given the same amount of points. First driver to finish wins the championship. Fans of the sport seem to have different opinions on the new changes. Although fan voice is important to any professional sports league, its not everyone’s top priority. Most people are just interested in how the athletes react to changes. 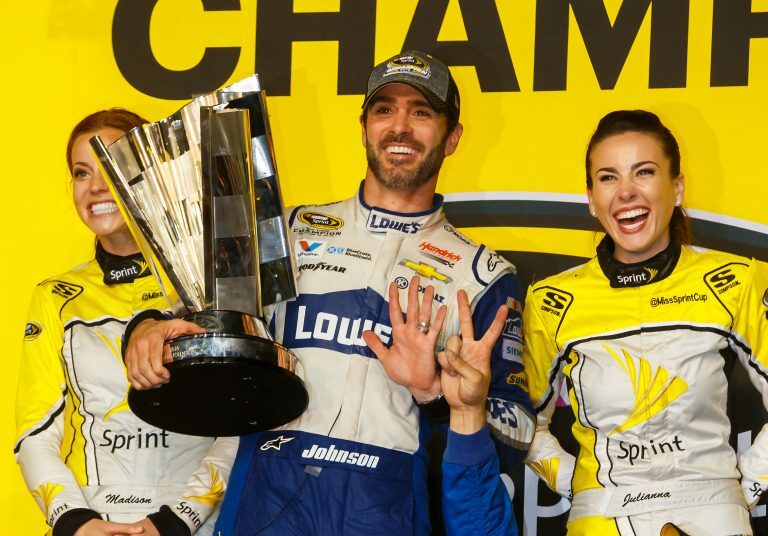 For example, seven-time NASCAR Sprint Cup Champion Jimmie Johnson took to Twitter about the new changes in a way that any seven-time champion would. The 2014 champion Kevin Harvick is more than excited about the new changes to NASCAR’s format. Even the retired four time champion, Jeff Gordon, took to twitter about the new format changes. Each of the three series will begin in mid to late February. Fans of the sport will have to follow along throughout the season to see how these new changes will impact the sport they love. After being on the road for three of the last four games, the Texas A&M Aggies are looking to get back on track a home win over SEC rival Arkansas. Both teams are currently struggling in conference play. As of now, the Aggies have won just one of their first eight of their SEC games, while Arkansas sits 2-3 in SEC play so far this season. The Aggies are playing no where close to the high level of play from last season, despite being ranked near the top of the conference in rebounds, field goal percentage, assists, and blocks per game. Arkansas has put up solid numbers despite being under .500 in SEC play. Th Razorbacks are just one of four high-major teams in the nation to score 70 points in all 17 of their games this season. The last time the Razorbacks put up these numbers was in the 1994-1995 season. The team has won five of its last eight games away from home, including a 3-1 mark against SEC opponents. 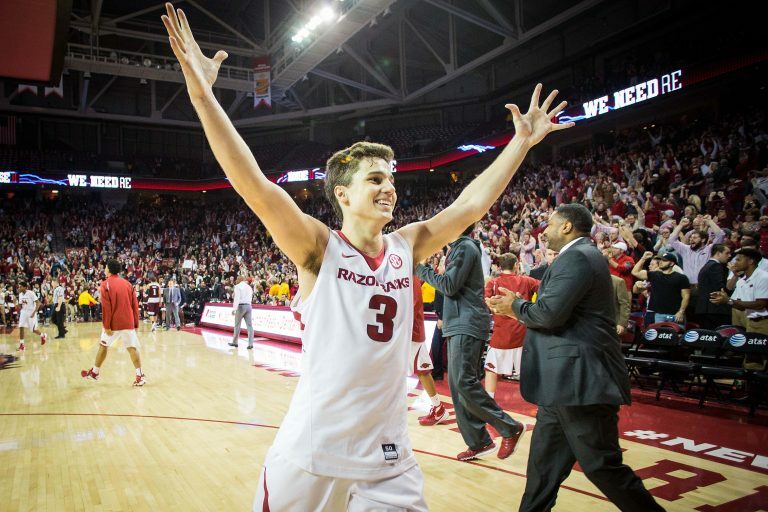 Statistically, Arkansas is the second highest scoring team in the SEC this season, and sits inside the top three in field-goals, free-throws, three-pointers, and assists. Arkansas leads the series over Texas A&M 98-55, but this will only be the seventh match-up between the two school as members of the SEC. Texas A&M was ranked in the top five nationally the last time these teams faced off, but Arkansas was able to pull off the upset at home. However, A&M did pull off a win their home game against the Razorbacks. The former A&M star and current member of the Washington Wizards, Danuel House Jr., finished the game with 24 points, six rebounds while hitting 8o percent of his threes. Arkansas has scored double digit points off of turnovers in all 17 games this season, and is the only school in the country to have two players ranked inside the top 30 in free throw percentage. Moses Kingsley, the preseason SEC Player of the Year, is currently averaging just over 2.7 blocks a game, making him 15th in the nation in that statistic. Kingsley also leads all active SEC players with 20 double-doubles in his career. 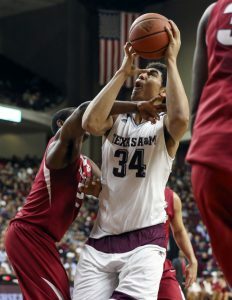 This means Texas A&M will need to limit the Razorbacks chances at the charity stripe (Aggies are 23rd nationally in fewest fouls per game), and Tyler Davis will need to hold Kingsley in check if the Aggies hope to win. Tyler Davis will also need to spark some offense for the Aggies. Davis currently leads the SEC and is ranked 17th in the nation in field goal percentage (60.9). A&M leads the SEC in rebounding margin per game, averaging nearly seven more rebounds than the opposing team. However this won’t be easy against a guy like Kingsley. If Arkansas can continue to get to the line as effectively as they have been, then Arkansas should be able to outlast A&M on the road. The game will be at Reed Arena in College Station, Texas and can be seen on SECN at 7 p.m. There were a number of different story lines leading up to last night’s College Football Playoff Championship Game. One would think the idea of Alabama and Clemson meeting in the Championship for a second straight year would be the most compelling, but it surely wasn’t after the game. People are talking about how Clemson pulled off an amazing fourth quarter and last-second touchdown to beat Alabama. But there’s still one topic of conversation that hasn’t subsided — the Tide’s Offensive Coordinator. Lane Kiffin joined the Alabama coaching staff in 2013 and spent almost three full seasons as their offensive coordinator. He was a key contributor in Alabama’s Championship in 2016 and to their success this season. That success earned Kiffin a head coaching job with Florida Atlantic University. Alabama didn’t take long to name a new OC. The team decided to promote former USC coach Steve Sarkisian to the position. 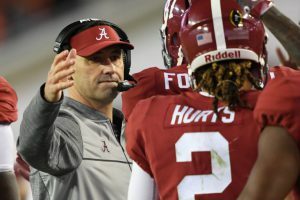 The plan was for Kiffin to finish out the season with Alabama, but after the team’s 24-7 victory over Washington in the first round of the playoffs, the team decided to let Kiffin leave for FAU early. 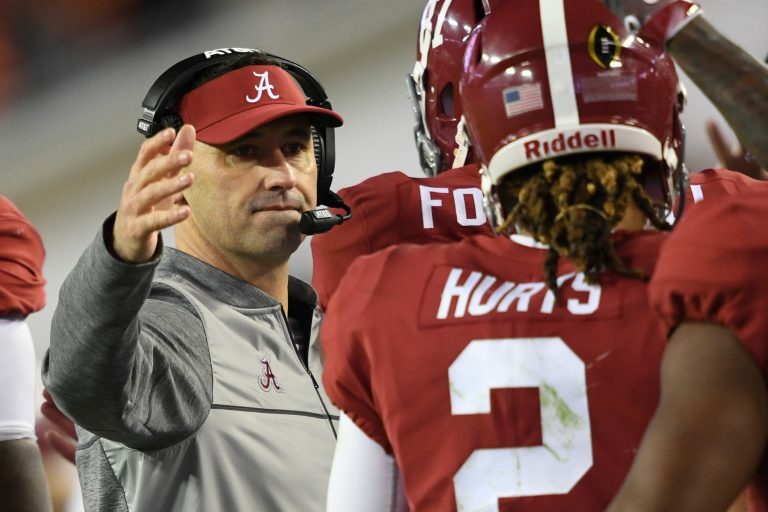 Steve Sarkisian has had alcohol issues in the past, and Head Coach Nick Saban was fully aware of these issues. However, Sarkisian is known to be a very good offensive-minded coach and Saban thought he could be a big help to the program. Part of the reason Sarkisian was hired was to help improve the team’s third down conversion percentages. During the regular season, Alabama finished in the top 25 in third down conversion percentage at just under 45 percent. However, they only converted four of 14 third down plays against Washington, and a measly 13.3 percent in last night’s game. But how can a team expect to convert a high percentage of their third down plays if they have to go nine or ten yards on a majority of those plays like Alabama had to? Nick Saban believed in Sarkisian, and when people look at the box score, the numbers will show that Sarkisian was ready to take over. After the loss, Saban commented on how he thought Sarkisian did with the small window of preparation. Most teams would be more than happy scoring 31 points, but that doesn’t matter when you allow 35. A coaching change one week prior to the biggest game of the year would seem like an obvious reason why Alabama lost. But besides the third down conversions, the offense played well against Clemson. The Tide didn’t win the College Football Playoff for a second consecutive year, but they are still the favorite to win it next year. Saban and Sarkisian will have an entire off-season together to recruit new players, and to develop the returning players. People will forget about the coaching change and Clemson will receive the credit they deserve.